If you are looking for one of the best places to go to get away from it all, you’ll find a lot to see, do, and experience in good ole Tennessee. In this post, we’ll focus on Great Destinations in Tennessee to Check Out and take a look at seven of the best vacation destinations to check out when planning a trip to Tennessee. Located just a short drive from Arkansas and Missouri on the west side, you’ll see why people love to vacation in “The Volunteer State.” We’re sure you’ll find a good selection of cabin rentals there, too. Nashville is one of Tennessee’s oldest towns and it’s home to several well-known country and bluegrass stars from yesterday and today. You can tour the Grand Ole Opry and see where the birth of country music all began. 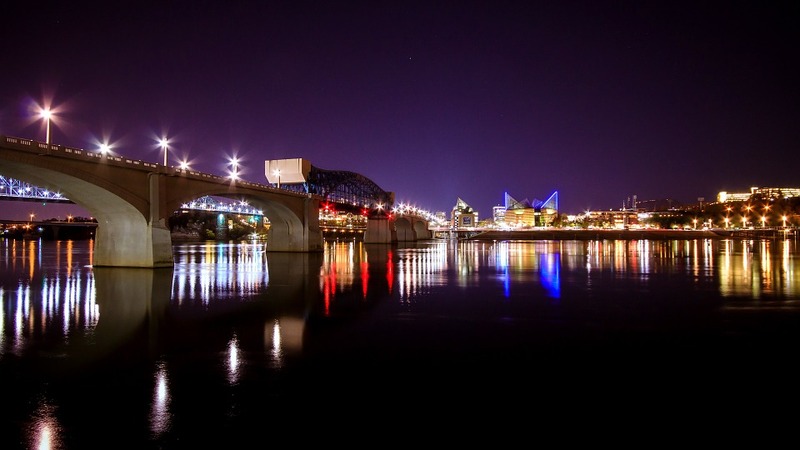 Tour Nashville, Tennessee, and view the state’s capital on the Cumberland River. They say that music is the universal language of Tennessee and you’ll see why when you get there. Visit Music City and meet some of the stars while enjoying some of the best entertainment you’ll find anywhere. Grand Ole Opry offers tours where you can see the exciting world of country music up close. If you’re looking for great places to dine in Nashville, here is a link to a list of some of the best Restaurants in Nashville. You’ll find all kinds of delicious cuisine (in all price ranges) when you visit Nashville. Gatlinburg, Tennessee is another great place to visit when traveling in the Great Smoky Mountains. It offers adventures for young and old, great cabins and resorts, awesome fishing and boating opportunities, and much more! Check out the various assets of Gatlinburg in the link above. Some of our favorites are Ripley’s Aquarium of the Smokies, where you’ll find all types of sea creatures and other fascinating discoveries. The aquarium is built like a tunnel and you will see the amazing underwater world from below. It’s like nothing you’ve ever seen before. You can get the free downloadable vacation guide and see what you want to do once you get there. Gatlinburg also has many great dining places as well as outdoor accommodations, cabins, and other lodging options. Many people enjoy taking in the nightlife of Gatlinburg then returning to the cabin at night for a restful sleep with nature all around them. There are more than 40 well-known attractions in the Pigeon Forge area including the Titanic Museum Attraction, which features a near life-sized version of the fateful ship that you can tour. If you are more the outdoorsy type and prefer to skip the amusement parks and shows, that’s fine too. 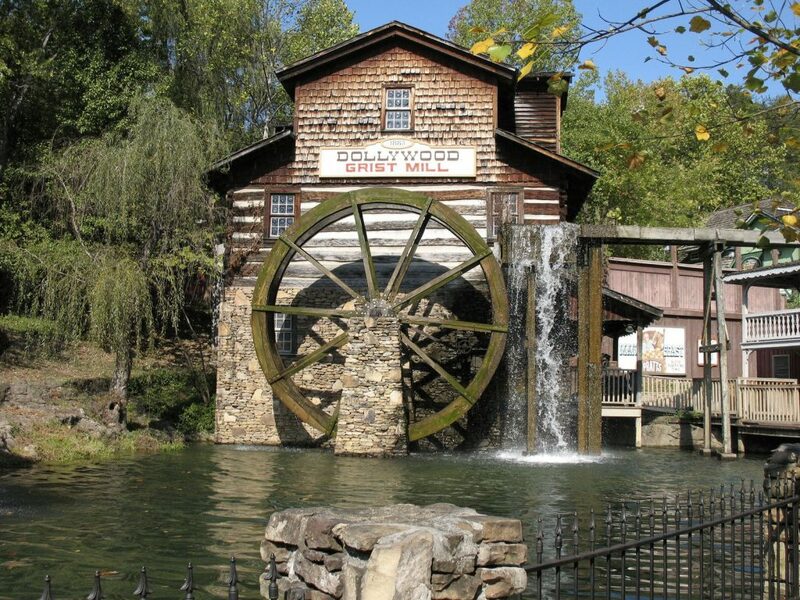 In Pigeon Forge, you are close to some of the most beautiful scenic drives of the Great Smoky Mountains in the U.S., so just enjoy taking a drive and viewing the scenery. 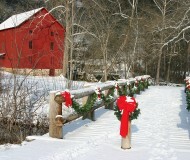 Don’t forget to book Pigeon Forge Cabin Rentals early as this is a popular place. Fall Creek Falls State Park is a beautiful area of Tennessee and Autumn is a great time to visit The Volunteer State. With many town gearing up for the Fall festivals, pumpkin patch tours, and outdoor activities, you’ll find some beautiful scenery and more when you visit this area. You can go birding near Fall Creek Falls and see the beautiful water cascading over the rocks and cliffs. Visit one of the nearby nature trails and hike on your own or with a special someone. See what adventures you can find when you see Tennessee up close and personal in the raw elements of nature. Don’t forget there are plenty of golf courses if you are into the game of golf that you can try out while in Tennessee. They have putt-putt golfing, too. 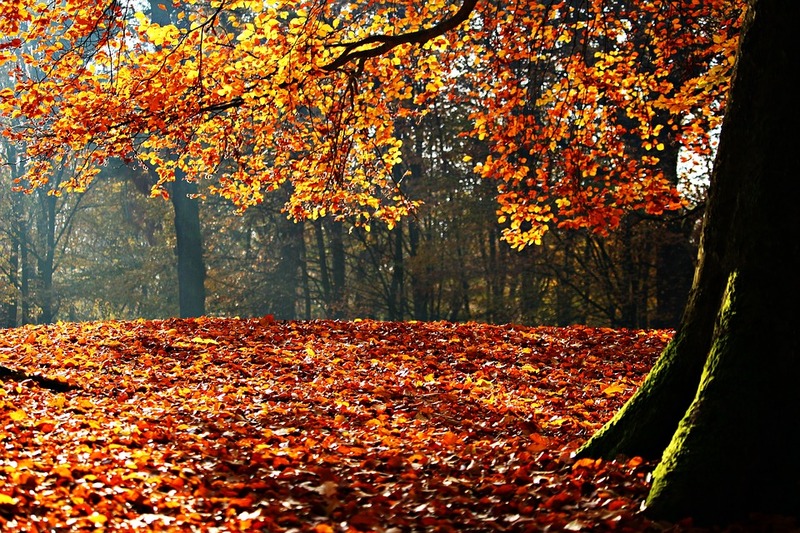 Don’t forget to visit beautiful Tennessee during the Fall season for the best experience. 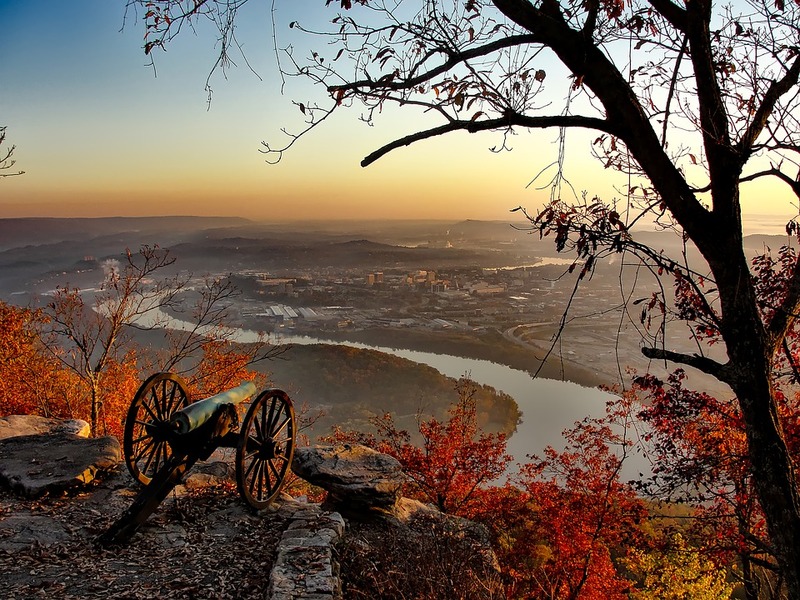 If you want a trip back in history, why not visit Chattanooga? It’s located along the Tennessee River in the foothills of the Appalachian Mountains. You’ll see great views from Lookout Mountain and tour some of the most interesting and oldest historical sites in Tennessee. There are places where you can tour Civil War sites and take part in re-enactments or even try your hand at a prison break! It is considered one of the top 45 best town to visit by the New York Times. There was a song originally performed by the Osborne Brothers and then covered by Lynn Anderson years ago by the name of “Rockytop.” She sang about “good ole Rocky Top, Rocky Top, Tennessee.” It almost made you want to go there just to see what all of the fuss was about. Well, if you want to visit a town in Tennessee that’s off the beaten path, you might enjoy seeing this one. It is a city in Anderson and Campbell counties in the eastern portion of the state. It’s located just northwest of Knoxville, Tennessee. The interesting thing about the town though is that the town’s name was originally Lake City. When the townspeople say how popular the song was, they decided to rename their town to Rocky Top, like the song. Copyright owners of the song fought it in court but lost so that name is Rocky Top to this day. How much influence the town had on Lynn Anderson, we’re not sure but we imagine that it was some small town similar to this one, if indeed it was not the same one. It’s a charming little town of less than 2,000 where you can stay in a cabin or resort, take in some fishing and get away from it all. In fact, this is about as “away” as you can get! If you want to do some “leaf peeping” and take some photos of amazing foliage, here’s a great place to do it this Fall. Franklin, Tennessee is a city in the county seat of Williamson County and it is located about 20 miles south of Nashville. If you are visiting Nashville and want to get out of the city, this is a great place to go. It features a Fall foliage extravaganza known as “Three Days of Leaf Peeping” that you can take part in during the Fall season. But it’s not just leaf viewing. You’ll also dine on the street, taste some of the great wines of the Tennessee Valley and much more. Check it out here. It’s actually an entire vacation planning idea for anyone wanting to visit Tennessee during the Fall season. We hope you’ll enjoy checking out these Tennessee destinations and perhaps booking a cabin nearby soon. Tennessee is a beautiful state and you’ll want to take lots of pictures for a vacation memory of a lifetime. Why Stay in a Cabin? A cabin is a great alternative to a hotel or condo. For one thing, it’s generally less expensive than traditional hotel lodgings and accommodations. It features many of the same amenities that a hotel does, but you also feel that you’re on your own in a good way! No noise outside of your room to bother you in the middle of the night, no noisy or obnoxious guests to distract you from enjoying a nice, quiet evening of reading or reflection. 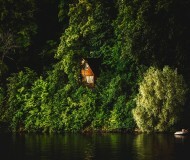 A cabin is closer to nature because it’s usually right in the middle of the wilderness. Well, at least it’s removed from the normal traffic areas! You’ll see what we mean when you book a cabin in beautiful Tennessee. So, you’ve decided to stay in a cabin while traveling to Tennessee, huh? Great choice! There’s nothing like the enjoyment of staying out in the wilderness and taking in nature in Tennessee or anywhere. If you need some places to start, we found an excellent cabin rental resource that you can bookmark and go back to whenever you need to book a cabin. 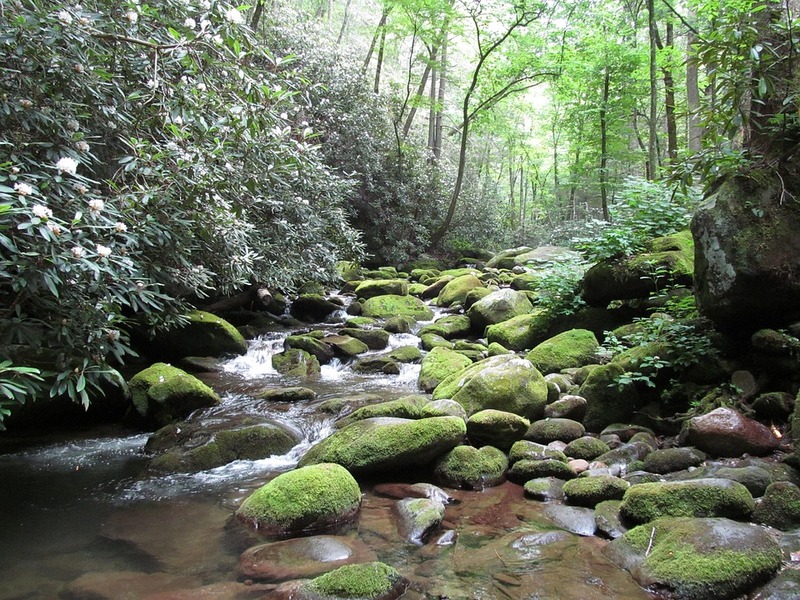 This is a great site to go to if you plan to take a trip soon to the Great Smoky Mountains. They feature helpful information, tips, and lots of cabin rental sites that you can choose from when booking your next Smoky Mountain area vacation. It takes all of the work out of planning. 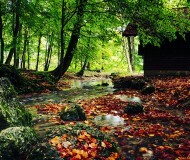 Remember for recommendations on cabin rentals and vacation information, bookmark us at cabinspots.com.